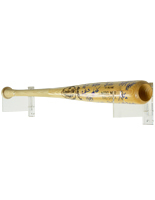 When it comes to finding the right fixture to house valued items, perhaps autographed by your favorite athlete, it is important to focus on durability, visibility, and functionality. 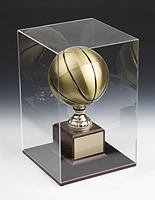 These acrylic sports memorabilia cases are ideal for presenting special awards, equipment, models, and cards in hobby shops or at home. 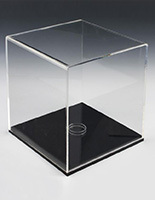 We offer dust covers with a multitude of dimensions, able to objects of a variety of shapes and sizes. 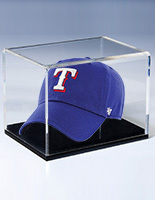 These contemporary sports memorabilia cases feature beveled edges, which adds elegant base styling to a full-view acrylic top. 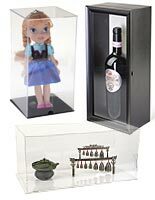 Collectibles showcased in these boxes are most popular in retail stores, schools, and at home where they prevent unwanted touching or tampering. 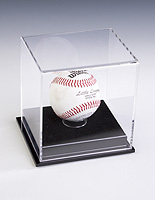 Use these clear sports memorabilia cases to protect your cherished pieces from unwanted touching, curious children, or theft. Some of the latest fixtures added to this product line up even include a locking frame. 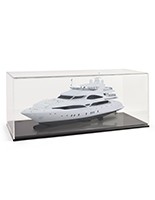 Our collectible boxes come with a variety of different accents including mirrored bases, velvet interiors, and clear acrylic tops depending on the model you choose. 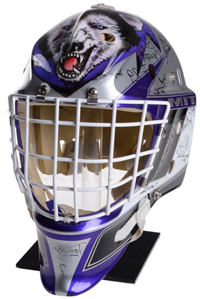 Note specific functions in each product’s description to find the right encasement for merchandise or items such as footballs, baseball bats, hockey helmets, and even playing cards. 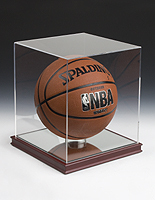 Not only does the acrylic construction of these sports memorabilia cases keep valuables safe, but they also help maintain maximum visibility. These fixtures look great as countertop or wall-mounted displays — the perfect way to ensure that key items are always postured in the most useful position. 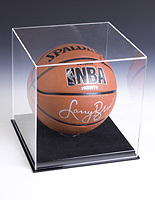 What kinds of collectibles do these memorabilia cases accommodate? 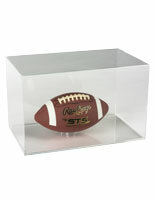 Balls - Place autographed footballs, basketballs, and baseballs inside of these acrylic containers. 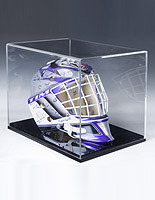 Helmets - Both stands and cases are available to showcase a helmet from your favorite team. 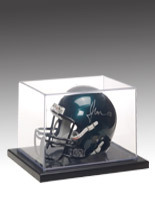 Collectible Mini Helmets - Small, collectible helmets are very popular, especially for football. Specially designed cases are available to showcase these items. 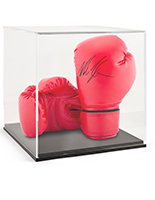 Do you have a set of small autographed items that you want to display together? 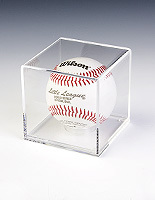 Have a selection of autograph baseballs that you want to showcase ? 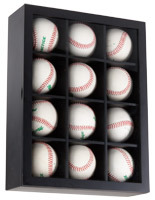 We offer items that hold and protect multiple baseballs at once from everyday wear and tear. Display the autographs of two teammates in the same collectibles container! 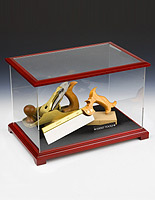 These memorabilia cases allow viewers in high-traffic areas to appreciate and share the beauty of the objects shown inside, while protecting them from damage. 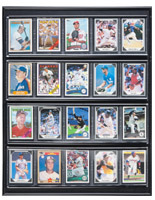 These dust covers can prevent your collectibles from getting dirty, tarnished, or misused. 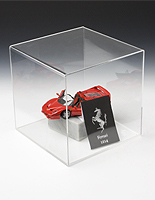 Memorabilia cases are an affordable way to ensure that your priceless items maintain their value and can be enjoyed through the ages. For larger pieces, shop our line of museum quality displays to create cohesive presentations in your next exhibit.